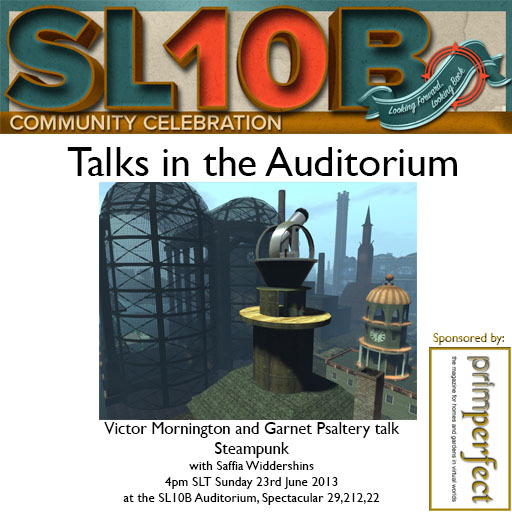 Prim Perfect is sponsoring two talks today at the Auditorium at the SL10B Community Celebrations. There’s no Ekphrasis talk at 3pm today, but at 4pm Garnet Psaltery and Victor1st Mornington will be discussing steampunk – the phenomenon, the roleplaying and the regions … it’s bound to be a fascinating session – and a great one with which to end our auditorium talks! Previous Post: Designing Worlds celebrate 200 Episodes – now on the web! 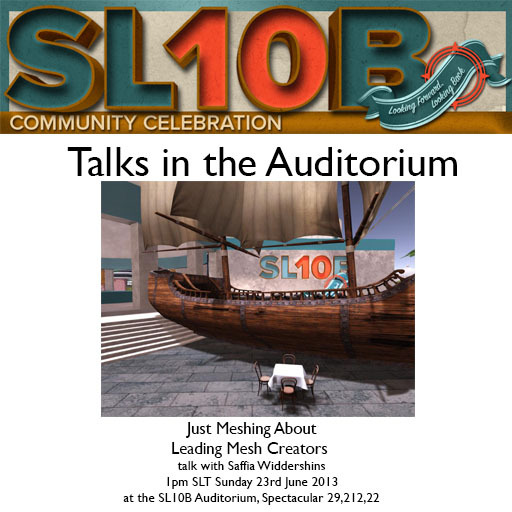 Next Post: Designing Worlds pays a first visit to SL10B Community Celebrations!